A little bit of luxury turns even the shortest stay into a small holiday. 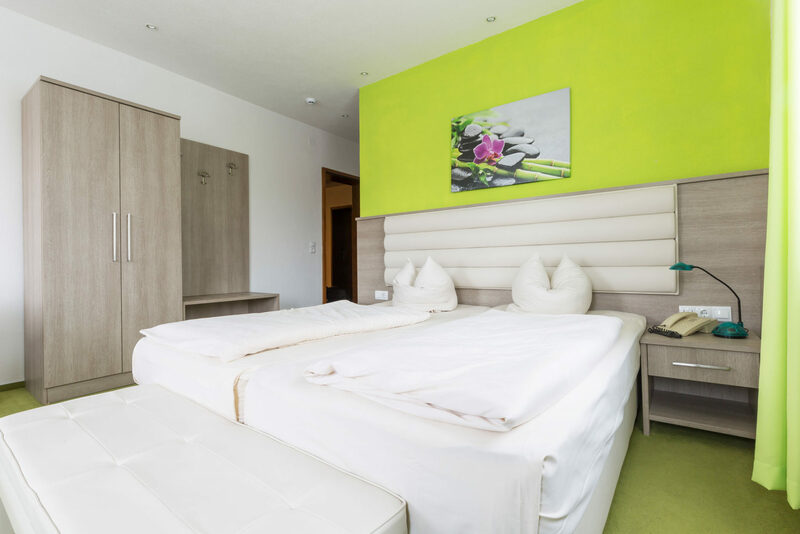 All our rooms are equipped with bath/WC, room service, direct dial telephone, fax connection, colour satellite TV, wireless LAN, wake-up service. Our single rooms offer sleeping space for 1 person. They all have their own bathroom with shower. rooms each have a bathroom with shower. Our three-bedded rooms offer accomodation for 3 persons. Every room has a bathroom with shower. The hotel is open all year. If you arrive after our office hours, please contact us in advance. By phone you will receive a code for access. Our hotel is a non-smoking hotel. We do not have our own parking facilities.